Do you want the well being of your family or want to get blessed with a child? Are you looking for a life full of comforts and luxuries that will last forever? Take a look at Varalakshmi Vratham and and see how worshiping Goddess Lakshmi on this day can bestow with all the pleasures of conjugal life. Varalakshmi Vratham is celebrated in the Shravana month on the day before full moon day, i.e. Purnima. Varalakshmi is considered as the another form (Avatar) of Lakshmi, the Goddess of wealth. Being the festival of womanhood, Varalakshmi Vratam is celebrated with great zeal and enthusiasm by the married ladies. Varalakshmi Vratham is considered as the festival of boons (Vara) in the Hindu mythology. With the observance of this sacred Vrat, one can get all his desires and wishes fulfilled. Varalakshmi Vratham is a festival of boons. On this auspicious day, women wake up early and take bath. They adorn themselves beautifully in new clothes and traditional jewellery. In order to decorate the home, colorful and beautiful Rangolis are made. 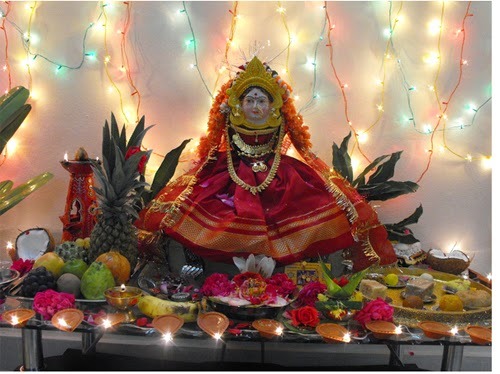 The Pooja is finished with offering sweets to all the ladies and singing devotional songs in praise of Goddess Lakshmi. Today is Pradosh Vrat. This day is auspicious to seek blessings of Lord Shiva. M. S. Dhoni: Don’t Let Your Captaincy Slip Out!